Queen Elizabeth II is using the Winnipeg stop on her Canadian tour to unveil the cornerstone of the Canadian Museum for Human Rights, which was crafted with a piece of British history. Charles Brunet, a third generation craftsman with Brunet Monuments carved the cornerstone of the museum to incorporate a stone from the ruins of the St. Mary's Priory near Windsor, where some believe the Magna Carta was signed. The stone was a gift from the Queen. Brunet has carved out piece of Tyndall stone to create a space where the St. Mary's stone rests, covered and protected by sandblasted and etched glass. The local craftsman said he appreciates the work done centuries ago on the historic stone. "What I really particularly enjoy seeing in this piece is the chisel marks the holes drilled here and there, you wonder what has gone on over the years," Brunet said. Patrick O'Reilly, the chief operating officer of the Canadian Museum for Human Rights said that while the St. Mary's stone is literally a cornerstone for the new museum, it has symbolic significance as well. "That her majesty has decided to grace us with her presence is one thing, but then to bring this incredible gift – metaphorically it's a cornerstone for human rights and that's amazing." Brunet said the stone is tied to the beginning of human rights in the English-speaking world. "This stone was present when King John signed the Magna Carta in 1215," Brunet said. "It's a real honour and a privilege to touch this stone. We realize how important this stone is for all of Winnipeg and Manitoba." The stone will remain on public display at the legislature until the museum officially opens in 2012. The cornerstone of the Canadian Museum of Human Rights includes a stone from St. Mary's Priory. 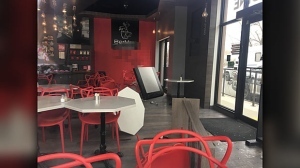 Winnipeg police are calling an incident that sent a woman to hospital Thursday night at BerMax Caffé and Bistro anti-Semitic and traumatic. 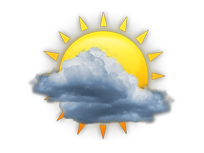 Follow us on Twitter for the latest breaking news, weather, and sports information.